Are you ready for some new recipes to try out? I have been totally MIA due to some family things going on and my head just hasn't been focused on my blog. However, yesterday I did manage to hit 100,000 page views! That is totally exciting for me. When I started my blog I never imagined that ever happening. I was lucky to get 10 views per day. THANK YOU for coming back and trying more recipes. I truly appreciate it! 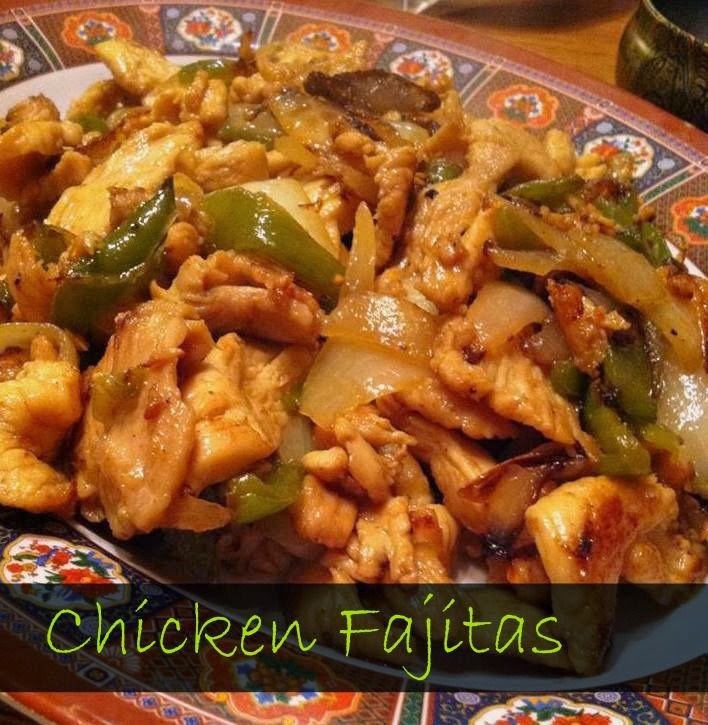 Chicken fajitas are my absolute favorite dish to order whenever we go out for Mexican food. I have tried to replicate the meal numerous times at home. I have tried the slow cooker versions (never came out how I wanted). Tried making them in a skillet, but the seasoning just wasn't right, etc. Well this here is the best fajitas I have ever made. I have started making a batch in advance, and just reheat some for my lunch. It is absolutely my new favorite EASY thing to make. I found the secret is to cook these up in an iron skillet. You know when you order them at the restaurant they come out sizzling hot on that little iron skillet. It just helps make the flavor better. Trust me. This recipe makes about 8-12 fajitas, depending on how big your shells are and how full you stuff them. We serve it "family style" and just make our fajitas as we eat. Cut the chicken breasts into strips (the long way). In an iron skillet melt the butter. Add the onion and bell pepper and cook until onions are clear. Place the chicken in the skillet and let cook until no longer pink. Add in the Worcestershire sauce and Creole seasoning, tossing well to coat. Continue to cook, uncovered, until all liquid has cooked out. Let the chicken brown and continue tossing until browned to your likeness. Squirt juice from lime over the chicken mixture. Serve with warm tortilla shells.